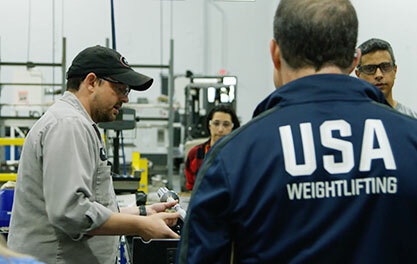 Every Pyrros Bar is machined in Columbus, Ohio (on American-made Haas machines) and guaranteed to meet International Weightlifting Federation (IWF) specifications. The shaft is ground and polished prior to machining and individually tested and straightened to within 0.015” (0.38mm). Using a technique from automotive and aviation manufacturing, the sleeves are friction welded for a bond as strong as a single piece of steel, and then machined to our exacting standards. After machining, all parts are gauged to ensure optimum performance. 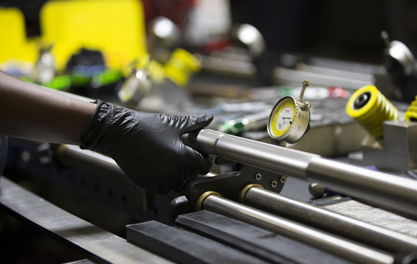 In our barbell assembly department, the shaft is again tested and straightened and the components of each bar are weighed together. 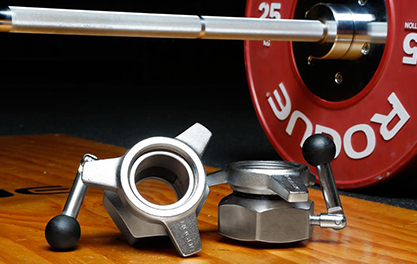 Once the weight standard of +20 g/-10 g is met, the bar is assembled by hand followed by an individual test for straightness and reliable spin. 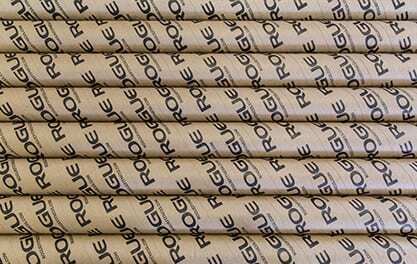 Rogue Pyrros Bar - 28MM is rated 5.0 out of 5 by 11. Rated 5 out of 5 by PaddyHou from I'm lovin' it! This is my first personal Oly bar; previous bars I've used were Pendlay and Eleiko training bars my gym rents that are not in the best condition. I don't have much experience with other bars to draw from, but I'm loving this bar. The sleeves have unstoppable spin, but seem very snug since there is very little rattle (it's a very quiet bar). The grip knurling is very aggressive, but it isn't destroying my hands; like a sharp tool, it's not slipping. 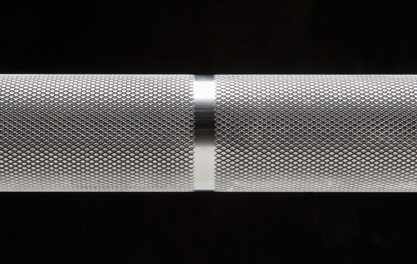 The center knurling is a bit rough, though. It's grinding through shorts quickly and adjusting my front-rack gives me a nice neck burn. However, my clean catch has improved through this negative reinforcement. Rated 5 out of 5 by DrWP from Should be Rogue's flagship bar There isn't much info on the Pyrros out there, so I thought I'd take a moment to share my experience. I am comparing this to the Rogue stainless WL oly bar, as well as a few European bars, like the Eleiko comp. This bar seems to be the same stainless as the rogue WL bar. The knurl is the same on both bars, at least the ones I received, and it. is. perfect. I think the description on the website says the Pyrros knurl is more aggressive, but this is not the case on the one I received. I'm happy about this, because as I commented on my WL bar review, it is the best knurl I have ever felt. In the past, I have read people think the center knurl on the Pyrros is sharp. On the one I received, the knurl is flattened and passive, noticeably different from the rest of the knurl. I think this may be something Rogue changed on the newer bars, because it is not sharp anymore. The whip is the same on this bar as the WL bar, and as far as this reviewer can tell, it is the same as any European bar out there. I really can't tell any difference. The spin on this bar is the big difference between all the other bars. It is packed with a thick grease and spins very "slow". 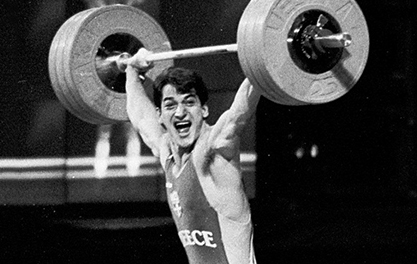 It is silky smooth, but if you spin the bar, it will quickly slow, not spin forever like the WL and Eleiko bars. I did not know how I'd feel about this at first, but I can say that I love it. It makes the bar quieter and makes it feel tighter, but because the bearings are so smooth, it spins plenty quick enough on the lifts. If you just want a bar that will spin forever for a youtube video, you'll be disappointed. 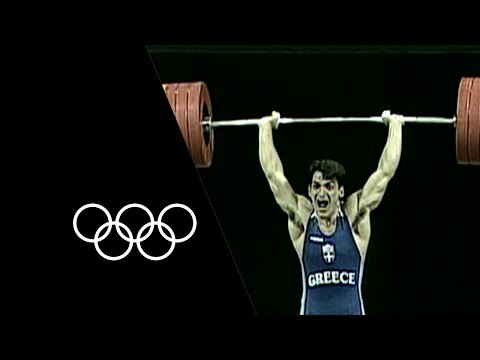 For actual weightlifting use, I love this spin. I say Rogue should make this their flagship bar because the whip is as good as anything out there, the spin is the same-or better, but the knurl is better than any of the chromed bars. I guess it would be novel to use a stainless bar instead of a chromed bar for competition, but they should.